At connectingEd we understand that that each organization and individual has different learning priorities and needs. We customize our innovative services to support the transformation of classrooms and student learning experiences through professional learning, coaching, project management and/or content development. 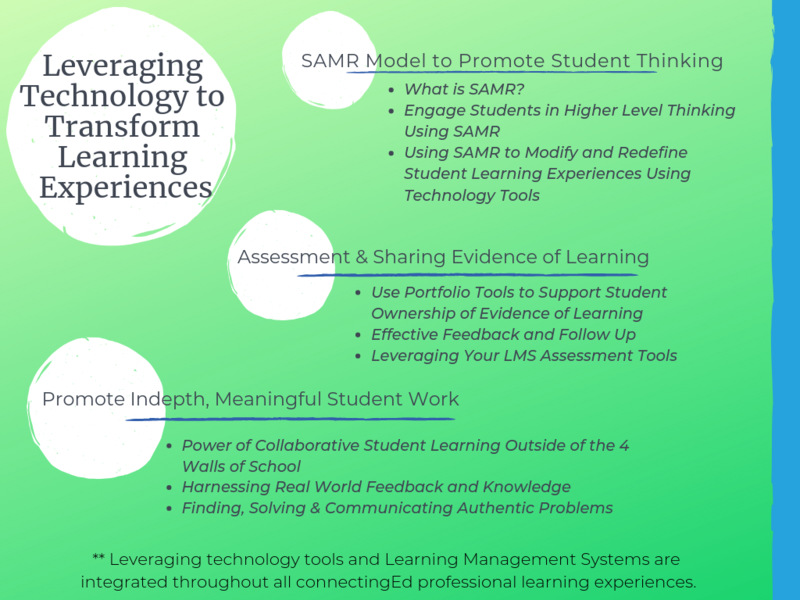 Our innovative approach to professional learning provides the participant with the experience of blended, personalized learning as they engage and apply new information and skills to shift their own practice. 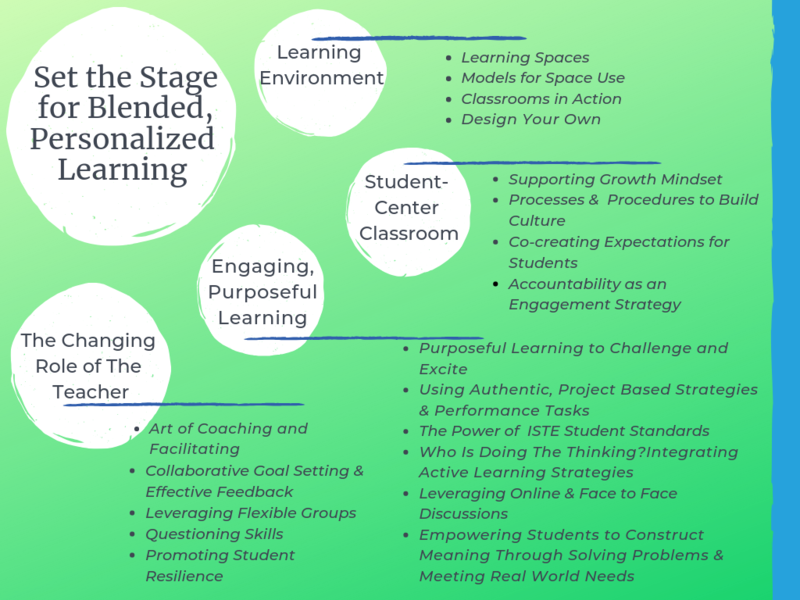 The information below provides you with a starting point and customizable learning options to begin transforming classrooms through professional learning, purposeful work and coaching. Coaching is an essential part of building capacity with any organization. We can help! Whether it is individual or team coaching, our goal is to help you to build leaders who can mentor and coach others. We have effectively coached over 250 teachers and administrators. We offer both face to face and virtual coaching to support everyone's schedules. All of our professional learning experiences can be bundled with individual or group coaching sessions for maximum professional growth and classroom application. We have extensive experience in analysis and development of curriculum, content and professional learning. As education is shifting to student-centered, personalized learning, so does our approach to designing curriculum and content- we can help! 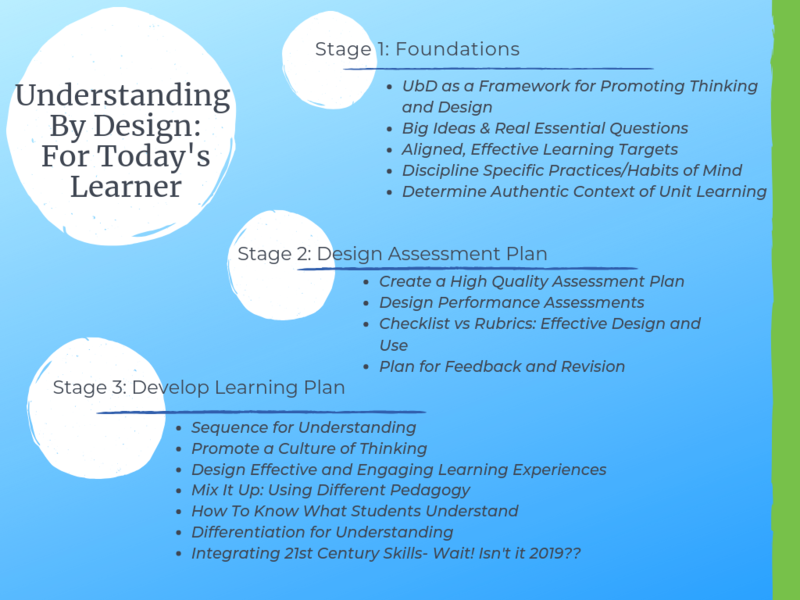 The foundation for all of our work is Understanding by Design and we have experience in writing learning progressions and other innovative approached to curricular design. We can help you plan, create, store, share curriculum/content in a manner that empower teachers and supports personalized learning. Spring, Summer & Fall Cohorts are forming now. Consider joining our multi-district cohorts to increase collaborations while lowering costs. Where to go next? Looking for a specific learning focus? Every educator and administrator has different learning needs and interests. 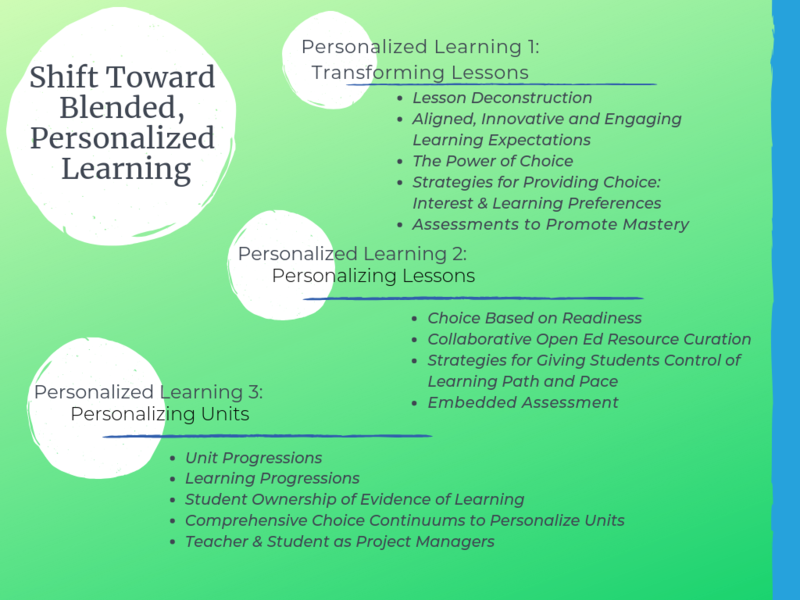 This is why, based on our experience and research, we have created a menu of topics that support the shift to blended, personalized learning. The menus below allow you to personalize professional learning for your educators & administrators. Based on needs & interests, mix and match anything on the menus to form blended courses that are right for your organization. Need Help? Contact Us! ​Contact us to start a dialogue about how we may be able to support you.